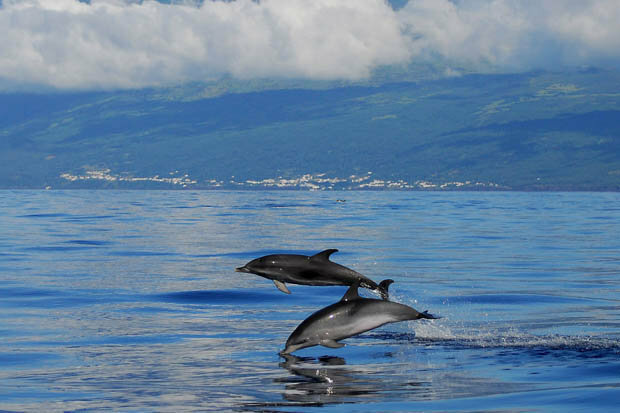 Discover one of Europe’s most untouched landscapes – the Azores. Within a four-hour flight from the UK, you will find a jungle wilderness where steam rises from the ground amid lush green forests. The Portuguese paradise is now more accessible than ever thanks to more direct flights, bypassing the need to stop on the mainland 900 miles west. Canoeing in blue-green waters, bathing in volcano heated thermal pools, exploring underground lava caves and showering in natural waterfalls are just some of the ways to enjoy this unspoilt archipelago in the mid-Atlantic. The surrounding waters are one of the world’s largest whale and dolphin sanctuaries, where more than 20 different species can be spotted. 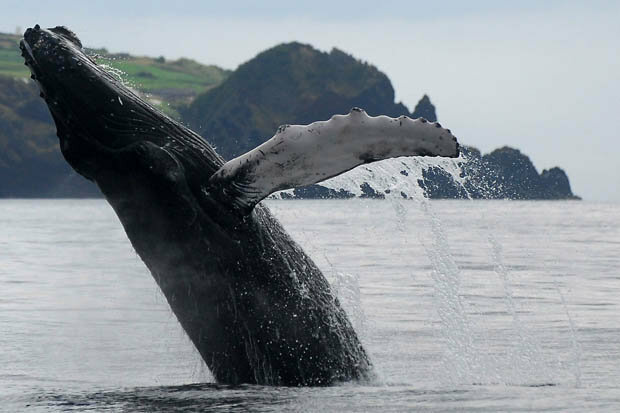 In a bid to see these majestic creatures in their natural environment, we set out across the choppy waters from the island of São Miguel, the largest of the nine islands. It was a waiting game with the captain in constant contact with land based lookouts who spot the dark shadows lurking underwater. But then a shout from the front of the boat and we were off, motoring towards a possible sighting. 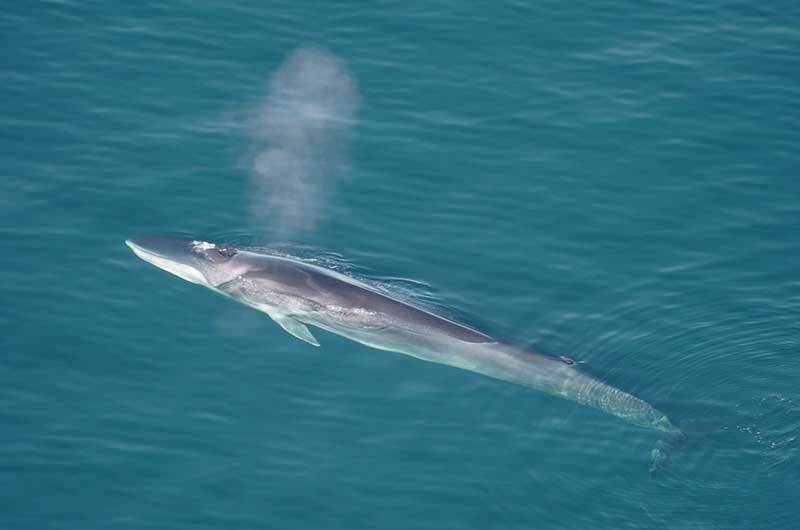 We were lucky enough to catch a glimpse of a gigantic Fin Whale, the second largest animal on the planet. It was breathtaking to see the huge sea monster arc out of the water before plunging back under. And just minutes later we were treated again, this time by a dozen bottlenosed dolphins which leapt fully out of the sea. For €40 (£28), it was a cracking experience, and organised through adventure excursions company Futurismo. Following an overnight stop, we then took a 45-minute flight to the mysterious Pico island. For explorers keen to sample nature’s most fascinating creations, the lava caves are a big draw. After nervously signing a waver form, we donned our helmets, picked up our torches and delved into a pitch-black cave, formed by the lava of a volcano thousands of years ago. With no natural light, your torch and tour leader are the only guides you have through the tunnel, which was like a set from an Indiana Jones film. If you prefer to stay above ground, Mount Pico, at 7,700ft, is Portugal’s highest point and you can yomp up it in under three hours. Next we took a 30-minute ferry ride to the island of Faial. Here you can witness the visual impact of the islands’ most recent volcanic eruption. The Capelinhos volcano’s explosion in 1957 has left one section of Faial completely barren and arid and completely at odds with the rest of its incredibly green landscape. A 50-minute flight on a tiny, 40-seater jet plane had us back on São Miguel island. 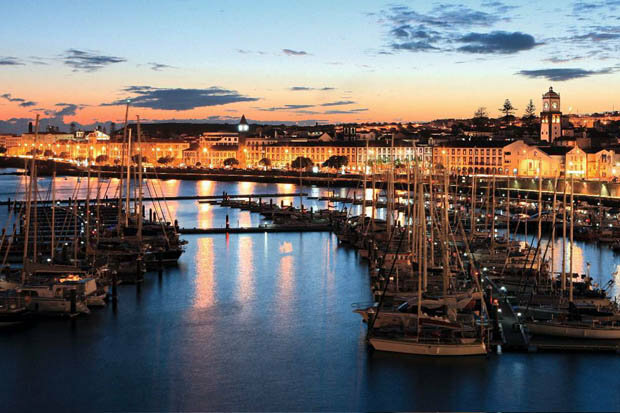 Its main town, Ponta Delgada, shows a different side to the Azores. It is bustling in comparison to many of the islands’ small villages, with plenty of bars and restaurants, with affordable 2 pints. If you fancy a chilled-out afternoon, head for the art deco Terra Nostra Garden Hotel and swim in its pool, heated to around 37 degrees by the volcanic activity. Kicking back in the calm, mineral-rich waters is so relaxing and only costs six Euros (£4.20). Another activity to add to the list is a bike ride around Sete Cidades – two huge, adjoined lakes, one pea green and one turquoise blue, which make up one of the seven natural wonders of Portugal. 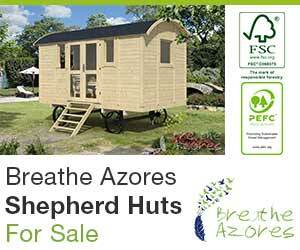 Food in the Azores is all about the outdoor larder and natural cooking. We thoroughly enjoyed the intriguing local catches at Ponta do Garajau in Sao Miguel, which serves up fresh Azorean Barnacles and Bluemouth Rockfish. Meanwhile the Ancoradouro Restaurante on Pico offers pretty coastline views, with its juicy “fish on a stick” dish – several different kinds of fish on a skewer. And to round off our Azorean experience, we took a trip to the harbourside Canto da Doca restaurant Faial, where we perfected the skill of cooking on a hot lava stone at our table.